Shoes to replace your Crocs? 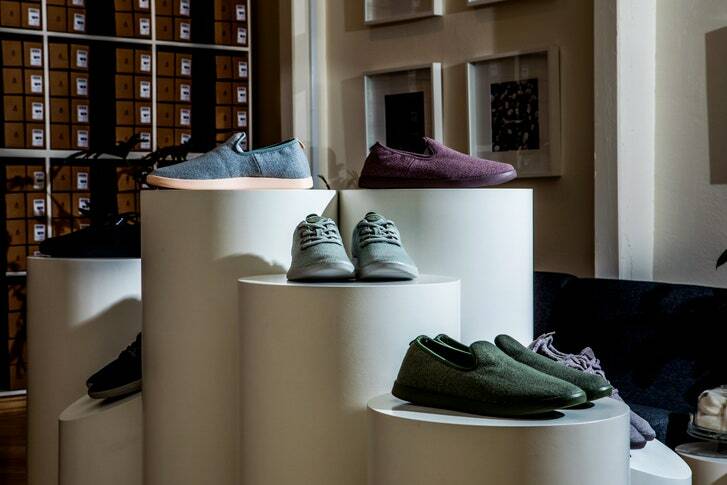 Are Allbirds Shoes the End of Style? In their initial wave of popularity, Allbirds became an essential part of the daily uniform of Bay Area tech entrepreneurs. “Everyone’s wearing them,” a startup financier told the Times last August. “Sometimes it is awkward, especially if we’re wearing the same color.” But in the past year Allbirds have travelled outside the clean hallways of Silicon Valley headquarters and tipped into the mainstream. Mila Kunis wears Allbirds. So does Jennifer Garner. So do Park Slope dads and modern dancers and trendy teen-agers and kooky aunts and registered nurses and bartenders and pretty much every overworked, weary thirtysomething you see on the New York subway. Leonardo DiCaprio, an early adopter of eco-innovations, liked his pair so much that he became an investorin August, saying in a statement that the shoes are “crucial for creating a more sustainable future.” In October, the company announced a third round of funding, bringing its total valuation reportedly to $1.4 billion—which makes it a particularly precocious breed of unicorn (by comparison, Warby Parker, the digital-first eyeglasses company, took eight years to reach its current valuation of around $1.75 billion). The inside of the Allbirds space has the bright, pine-box feel of a Sweetgreensalad bar. There are generous piles of multi-hued wool sprouting from the walls, like lichen clinging to a boulder. The foot mirrors are shaped like cumulus clouds. The store was busy even on a weekday morning. There were a few plucky tourists, a gaggle of browsing tweens, an older gentleman trying on gray wool slip-ons. It took me several minutes to flag down a salesperson, who was wearing the wool Runners in bright red (with matching red soles, one of several limited-edition colors this year). In addition to the Runners and slip-on Loungers, Allbirds now offers lighter mesh sneakers made out of eucalyptus plants. There is also a new line of thirty-five-dollar flip-flops, called Sugar Zeffers, that feature a springy material made out of sugar cane, castor oil, and recycled cardboard boxes. Altogether, there are only six types of shoes in the store (seven if you count Smallbirds, the woolen Runners shrunk down to toddler size). Every pair of sneakers costs ninety-five dollars. The only whimsical decision a customer has to make is choosing whether she wants her shoes cozy or breezy, and in which soothing color.